Karen and Nigel Stanton retired in 2015 but decided not to put their feet up. Instead they put on their walking boots and headed off to the Gambia. How did your desire to serve overseas develop? Nigel: I had become a Christian in 1998, and had that desire to serve overseas from the outset. How did the family react to your going? Karen: Most family members were supportive but some were very concerned. It can be difficult for non-Christians to understand the motivation for going. We should say we missed our family and were delighted to see them again when we returned. Absence definitely makes the heart grow fonder. What did you do in the Gambia? Karen: Our work in the Gambia is best described as missionary support work. I taught children who were falling behind in their reading or had started their education late and needed to catch up. I also organised a large clothes distribution project and did administrative work at the mission agency’s HQ. Nigel developed software applications, provided IT support to missionaries and taught mathematics to boys at a hostel. Anyone with life experience has skills that can be used. Also, because of our age people often used us as a safe friendly ear. This was an unexpected and rewarding role. Tell us about any highlights or problems. Nigel: There were many highlights in both visits. What springs to mind first are the people we met and worked with: Gambians and missionaries, Christians and non-Christians. Our latest visit to the Gambia was very unusual. The president of 22 years was unexpectedly defeated in an election in December but refused to leave office. The response of neighbouring West African states was to threaten his removal by force. Many Gambians fled and foreign nationals were advised to leave. After a very tense period of seven weeks, neighbouring forces entered the country and the president eventually stepped down. Even though things were difficult, we felt a godly peace and prepared for what might happen. Praise the Lord, our preparations did not have to be tested. Working overseas and facing challenges go hand in hand. Adapting to a new culture, a different climate, a different diet and new health risks will present challenges. We did adapt and people on the field were very helpful. Nothing in our experience says that this process of adapting is more difficult for older people than for younger ones. Perhaps the opposite is true! Are you planning more visits? Nigel: Looking to the future, we will now take time to decide on our next step. We are excited about the future and will be spending time with the Lord to discern his will for us. What we do know is that there is never a dull moment when serving the Lord. Twenty years ago, if someone had said that we would be involved in missionary work overseas we would have laughed. When we reflect on our trips overseas we are amazed at what the Lord has done. We have a developing sense of the privilege it has been to serve him. What advice do you offer to people who are considering following a similar path? Nigel: Perseverance is an important attribute to cultivate. We could have been easily put off by people who saw things differently. And there were some difficult circumstances before our first trip to The Gambia. I had to have a pacemaker fitted which meant postponing the trip and facing the prospect of maybe not going at all. In hindsight, it is by the grace of God that the problem was found when it was and rectified. Another important piece of advice is to talk to those who have gone before. They have a wealth of experience, insights and advice to offer. We would also advise going with an established mission agency and promoting a good relationship between that agency and your church. It is important to be sent out properly, debriefed when you get back and prayed for while away because mission is a spiritual battle. Are you glad you got involved? Nigel (61) and Karen (60) Stanton live in Cardiff, are part of Glenwood Church and have two grown-up children and a grandson. They were being interviewed by Christine Owens. 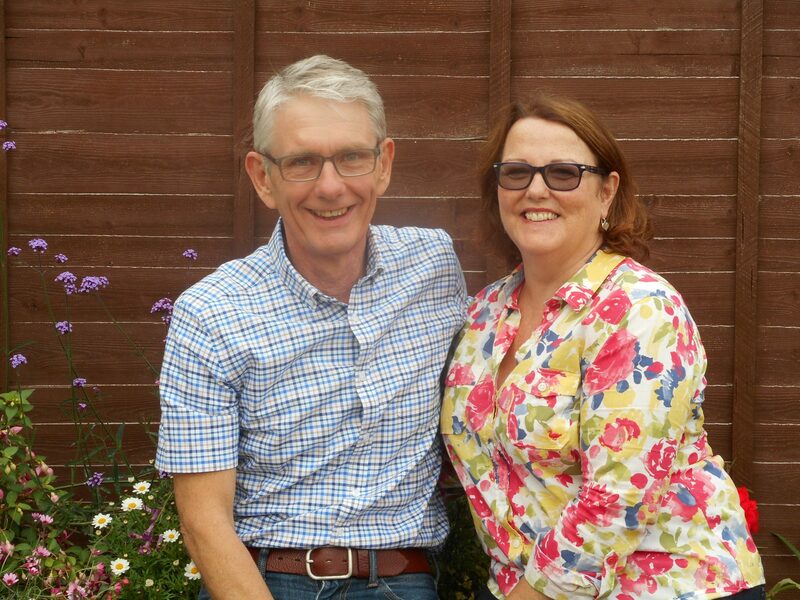 Christine Owens taught alongside her husband Steve Owens at Cornerstone Bible College for Mission in the Netherlands. They now represent WEC International in southern Wales.